The seaside tranquility of Deerfield Beach makes it a hard place to move away from. When you are ready to make a local move to a bigger space, do it with our help. 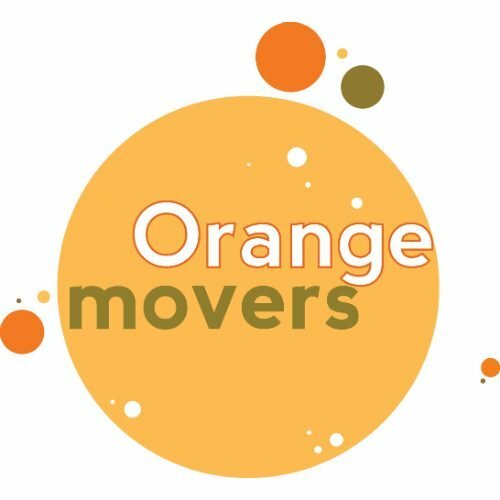 Full service moving from Orange Movers provides you with a stress free way to pack your belongings and get them situated in your new home or office. Call our professional staff today and get started on the simple solution to local moving in Southern Florida. Our Deerfield Beach Movers can reduce your pressure and stress when moving with best and quality Florida moving services. Our skilled and highly-trained crew can handle your stuff and they will arrive quickly and safely to your new home in Deerfield Beach. So when the day for moving to South Florida does, come, don’t hesitate and contact us for assistance. Why choose us for your Deerfield Beach Movers? When you choose us for your Deerfield Beach Movers, you will get friendly and hard-working movers that can ensure that everything goes smoothly. Deerfield Beach Movers are the part of Orange movers and we can handle and guide your move across the street, across the state or across the country. Our Deerfield Beach moving company will prove you why we are the best moving choice in this part of Florida. We give you reasons why to move with our moving company. You can choose one of our short-term storage or long-term storage solutions. The best packing service. When you move to our Deerfield Beach Movers you will get the best packing material for your relocation. Also, you will get affordable moving boxes so you can pack your stuff in the best boxes with quality packing supplies. Our professional packers know how to pack your valuable items, so you don’t need to worry about damages. If you choose our full moving services you will get the best packing, unpacking, loading, and delivery. Your moving will be less stressful no matter of destination. When you choose our Deerfield Beach movers your moving will be less stressful and more comfortable. Having trusted and skilled crew in Deerfield Beach your stuff delivering will be efficient and safe. Our team is licensed and you can be relaxed during the move. Deerfield Beach Movers can handle every local move, from the Kendall Green area to the Highland Village community. Also, we can handle your relocation out-of-state and international moves. Moving furniture and equipment is easy. Our reliable and trustworthy movers know how to carefully handle furniture, equipment, and other belongings for safe arrival. Deerfield Beach Movers have highly trained packers who know how to pack, load and unpack your belongings. We have the best storage facilities. 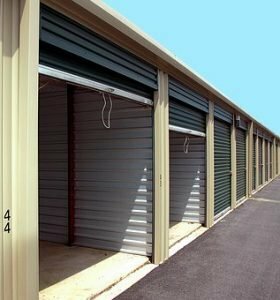 If you want the best storage Miami you should contact us to provide the best storage facilities. No matter what you want to store – from clothing, furniture, decorations to vehicles and boat, we can handle it all. You can choose one of our short-term storage or long-term storage solutions. 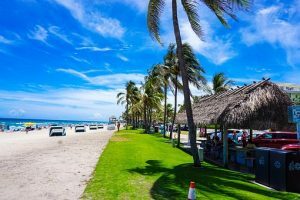 What a Move to Deerfield Beach has to Offer? If you want to move to this warm area which is bordered by the Atlantic Ocean to the east and Boca Raton to the north, it is very important to find moving company you can trust. The best residential moving services in Deerfield Beach will help you relocate smoothly without problems, damages, and injuries. Move to Deerfield Beach can offer you a quality life. Here you can enjoy the spectacular natural beauty and you can visit beautiful parks, award-winning beaches, and scenic boardwalk. The city of Deerfield Beach can offer you a lot thing you can try if you want to entertain. You can visit a public pool that offers swimming lessons or you can play tennis in tennis center. Also, if you think about living costs here, you should know that average rent is about $1,100 monthly. Here you can come for great education or to visit many great festivals. There is something for everyone in Deerfield Beach. You can have very happy and successful life in Deerfield Beach. Like you see, you can have very happy and successful life in Deerfield Beach. You can move there as a young professional or with family and we can handle both moves easily. So, if you decide to change lives and to move to Deerfield Beach, don’t hesitate and contact us if you want to have a safe and smooth transition. What makes us the best Deerfield Beach Movers? 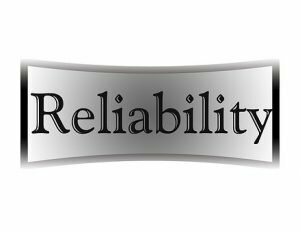 Quality, reliability, professionalism are the characteristics that make us the best Deerfield Beach Movers. We offer Deerfield Beach residents a variety of moving and storage services including packing services, local, long distance moving services, and also long and short-term storage, climate-controlled storage and vehicle transport. With Deerfield Beach Movers it is possible to pack and move your stuff in short time. Also, we can handle all sizes of your belongings. You don’t have to pull and lift heavy items because our professionals with skills and equipment will do it for you. So you don’t have to risk injuries on your back and damages on your furniture. You can be sure that you will have relaxed moving, secured belongings and safely unload. Get your moving quote today and start scheduling your move. Quality, reliability, professionalism are the characteristics that make us the best Deerfield Beach Movers. With our great reviews and references, you can be sure that we can handle every type of move, no matter if it is residential or commercial. With our Deerfield Beach Movers, you will get moving on a budget with the highly-skilled team. We can provide you with best moving services that fit your specific needs and budget. We will treat your belongings like they are our own – with utmost care and respect. When you choose us for your Deerfield Beach Movers you will get the best moving price, easy scheduling, on-time service, clean and professional moving equipment and trucks. Hiring Deerfield Beach Movers means gaining peace of mind. So, don’t think about the DIY move because we can do it all for you easily, smoothly and efficiently. When you hire a moving company it is very important you can fully trust to pack, load, transport, unload and unpack your belongings safely, that’s why we are your best choice. Even with a local move in Deerfield Beach, the expenses are going to start to rise as fast as our temperatures do. You can help to ease those fees by choosing to work with a local moving company. There is no way around having to pack up a truck, but you can save time –which equals money – by having our professionals do it all for you. Commercial relocation in Deerfield Beach can get complicated, especially if you are upgrading a big business operation. In order to avoid any valuable losses, but pay a reasonable price, you need to work with a professional commercial moving team. Extra heavy or awkward items are no cause for distress when you work with our experts. We have had success in moving thousands of overweight and valuable items all over Southern Florida and Deerfield Beach, delivering each one to its new home in pristine condition. If you were to study our client list, you’d find that it is made up primarily of repeat customers and client referrals. Not only are Deerfield Beach residents using us for their second local move, they are entrusting us with their friends and family. We take pride in the trust that is given to us, and go to great lengths to continue to earn it. Before handing over your worldly goods to just anyone, think about the pros whose entire business has been built on trust and loyalty from business and homeowners all across Florida. When we tell you full service, expect a group of movers to take over the packing duties, load the boxes onto the truck, and then unpack your belongings inside of your new home or office. Our goal is to move you in Deerfield Beach, without you having to move a finger. When you sign on for a full service local move, you can expect to be left with no work, other than figuring out the fastest route to the beach. Call us today to see what deals and freebies you are eligible for with a full service local move. We have made a lasting impression in communities all across Southern Florida, including Deerfield Beach. Our reputation for impeccable service and unbeatable prices has allowed us to continue to grow as the moving company of choice for the entire area. Consider the reliability and trustworthiness of local moving companies you are comparing us to, before you make your final choice on who to help move you in Deerfield Beach. Local moving companies are not typically known for giving customers an accurate quote before a local move. Luckily, we are not your typical moving company. We encourage you to invite us to do an in-house quote, so that we are able to provide you with an accurate estimate of how much your move will be. Don’t be enticed with low ball deals that hide the fees inside the fine print. Sign on with the local moving company that is giving you the pricing straight, so that you can plan a budget for it. It makes no difference whether you’re upgrading to a small apartment, or moving a warehouse full of beach umbrellas. Every client we move gets the same high level of service at comfortable rates. Moving in Deerfield Beach is made pleasant, when you work with a team that puts your needs first.